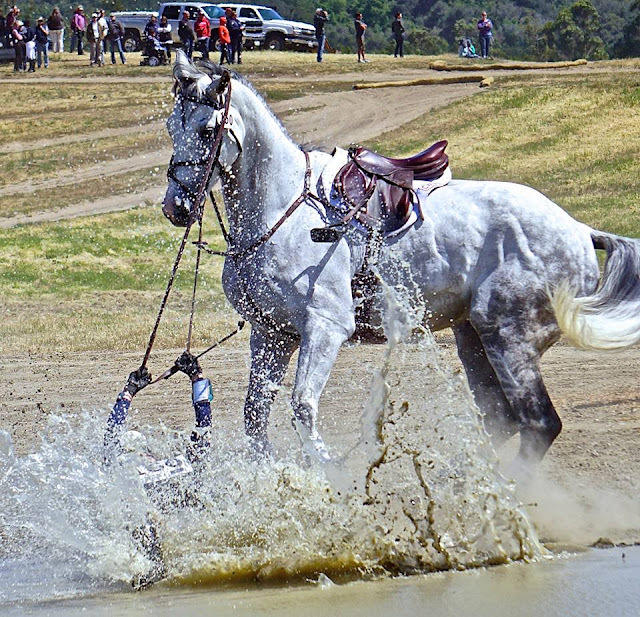 Behind the Bit: Hang onto those reins! The instinct to hold on to the reins during a fall always amazes me. I know I do it myself. It does depend on how you fall, though. Sometimes your arms just aren't long enough. Hope this rider was OK. Wet, but OK.